Global engineering group, Cavotec is pleased to report another success for its automated mooring technology, MoorMaster™. Leading mining group, Fortescue Metals Group, has ordered 24 MoorMaster™ units for use at Port Hedland in Western Australia: a project that highlights how this innovative technology improves productivity and reduces infrastructure costs. “This project is among the largest orders to date for MoorMaster™ and illustrates how the ports industry increasingly considers the technology as the most effective way to optimise mooring operations,” says Ottonel Popesco, Cavotec CEO. Fortescue Metals Group has ordered 24 MoorMaster™ MM200D automated mooring units for the Anderson Point 4 (AP4) berth, the company’s fourth berth at Port Hedland. 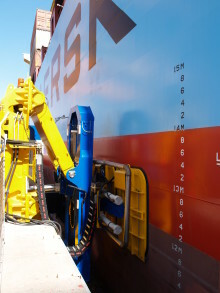 The units will moor vessels ranging in size from 174kdwt to 206kdwt and are designed to withstand the rugged conditions at the berth where winds gust up to 30m/s. Due to tidal variations, vessels calling at Anderson Point are only able to sail at specific times. 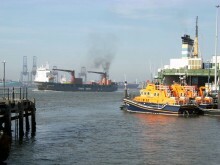 If ships are delayed they risk waiting up to eight hours before being able to sail. The MoorMaster™ units will ensure mooring times are kept to a minimum and thus optimise operational efficiency. The introduction of MoorMaster™ at the Anderson Point berth will also drive down infrastructure costs because four fewer mooring dolphins will be required to hold vessels in place. 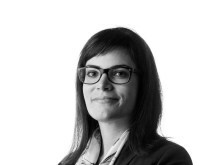 “This technology is changing the industry in ways we never thought possible. 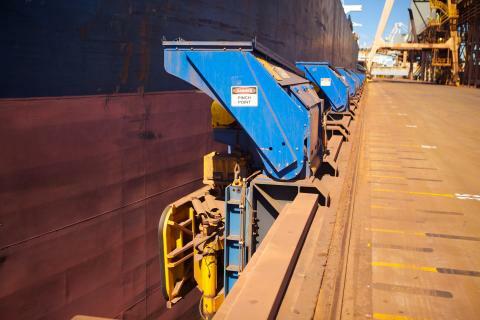 It’s safer and quicker than conventional mooring, and generates substantial infrastructure savings,” comments Tony Swiericzuk, General Manager – Port, for Fortescue Metals Group at Port Hedland. 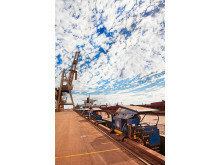 This will be the second berth at Port Hedland to use MoorMaster™. 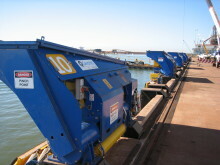 Fourteen MoorMaster™ MM200B units are already in operation at Port Hedland’s Utah Point iron ore handling berth. 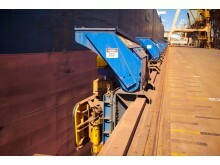 The technology is also being employed at other bulk handling applications in Western Australia. Earlier this year, Karara Mining ordered 12 MoorMaster™ MM200D units, for use at their dedicated bulk handling facility at the Port of Geraldton. Eight such units are also in the final stages of commissioning for Hamersley Iron, a subsidiary of Anglo-Australian mining group Rio Tinto, at the Dampier Fuel Supply Wharf in the Port of Dampier. MoorMaster™ is a vacuum-based automated mooring technology that eliminates the need for conventional mooring lines. 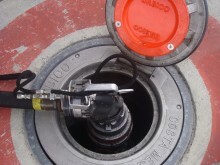 Remote controlled vacuum pads recessed in, or mounted on, the quayside, moor and release vessels in seconds. 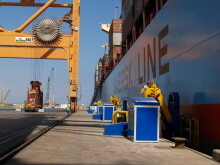 The technology dramatically improves safety and operational efficiency, and also enables ports to make infrastructure savings. It has performed more than 40,000 mooring operations at ferry, bulk handling, Ro-Ro, container and lock applications around the world. 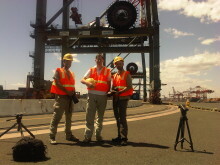 The technology was a component in the Port Hedland Port Authority (PHPA) and PInC Group’s successful entry for the 2011 Western Australia (WA) Engineering Excellence Awards. The team’s Utah Point Multi-User Bulk Export Facility project won the Resource Development Category. 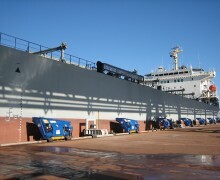 Cavotec innovative technologies for the ports sector include shore-to-ship power systems (AMP), Panzerbelt cable protection systems, crane controllers, marine propulsion slip rings, power chains and connectors, radio remote controls, motorised and spring driven cable reels and steel chains. Cavotec has completed work on the development of a unique marine propulsion system that, in conjunction with an innovative ship design, promises to improve fuel consumption by up to 25 per cent. 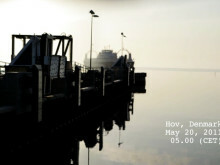 Cavotec’s innovative automated mooring solution MoorMaster™ was a key component in two significant awards this month. A 2011 Western Australia Engineering Excellence Award and Australia Bulk Handling Award 2011 for Best Practice in Occupational Health & Safety both went to Cavotec partners that rely on MoorMaster™ for the safe mooring of vessels.